The Shenandoah University Men’s Soccer Fall Prospect Camp is a 1-day training program on the 22nd of October. This camp will be perfect for male soccer players who want to improve their skills and play at the elite level. It provides an opportunity for excellent players to showcase their skills in front of the university’s men’s soccer coaching staff. It emphasizes overall improvement in both the technical and tactical facets of the game. There are also lecture regarding college recruitment procedures. It is going to take place at the Shenandoah University campus. The program is set to start at 9:00 AM and end at 4:00 PM. Shenandoah University, formerly Shenandoah College, is a private, coeducational, liberal arts university in Winchester, Virginia. It is an affiliation of the United Methodist Church. It is also a member of the National Association of Independent Colleges and Universities. Furthermore, Shenandoah University is a notable academic institution. It is 223rd in the National Universities, 2018 edition of Best Colleges rankings. It is also 381st in the Business Programs rankings. Shenandoah University is currently accommodating around 2,100 undergraduate students. Its student to faculty ratio is 11:1 with an acceptance rate of 78 percent. Shenandoah University fields 19 intercollegiate sports teams competing in the Old Dominion Athletic Conference of NCAA Division III. They call themselves the Hornets while red and blue are their official colors. Matt Smith is the new head coach of Shenandoah University men’s soccer team. He is the former head coach of the Johns Hopkins University’s soccer program. He is notable for his most number of wins record in Centennial Conference history. Moreover, Coach Matt Smith is the 2014 Empire 8 Conference Coach of the Year awardee. Then, the Shenandoah University goalkeeper coach is Scott Hackett. He is the university’s high school soccer program’s head coach. He also has assistant coaching stints at Loudoun County H.S. and Heritage H.S. 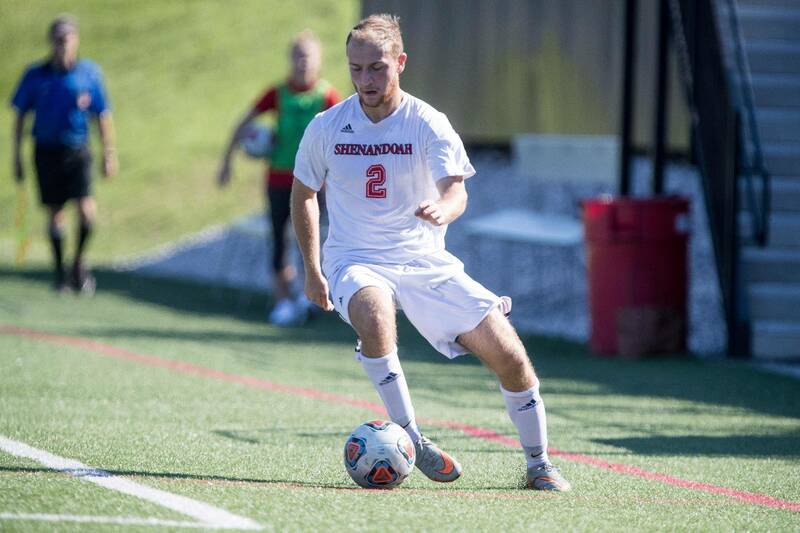 The Shenandoah University Men's Soccer Fall Prospect Camp is perfect for male soccer players who want to improve their skills and play at the elite level.